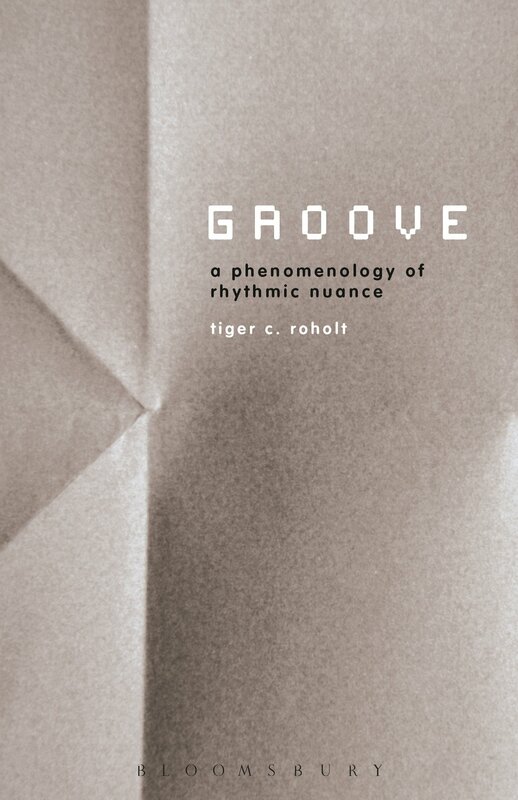 Tiger C. Roholt’s Groove: a phenomenology of rhythmic nuance is a splendid, rigorous, and brief (140 pp) book that makes a compelling case for something many musicians already know something about: groove. Groove is the feel of a rhythm–that quality of musical time that can make it seem as though the music is pushing ahead or laying back. How a single musician, let alone an entire ensemble, has groove is somewhat mysterious. In a way, the ability to produce and perceive groove is a kind of body knowledge and its feel aspect “is a musician’s datum” (105). Roholt designs his book around four propositions: first, grooves have a feel; second, grooves somehow involve the body and its movement; third, to understand a groove is to feel it; and finally, feeling and understanding a groove does not occur in thought or in listening, but through the body (2). Roholt introduces his topic through a fascinating account of an early Beatles recording session and two versions of the drum track for the song “All My Lovin’.” The example serves to illustrate how an identical rhythm can sound radically different when played by different drummers with different grooves. Feel in music is the result of numerous nuances that musicians bring to their performances. In the case of grooves, small timing differences can make all the difference between whether a music sounds right or sounds off. “A movement is learned when the body has understood it, that is, when it has incorporated it into its ‘world’, and to move one’s body is to aim at the things through it, or to allow one’s body to respond to their solicitation, which is exerted upon the body without any representation” (Merleau-Ponty in Roholt, 95). To build his argument for how we perceive groove through “a practical, prereflective, non cognitive sort of understanding” (99), Roholt cites Merleau-Ponty’s concept of motor intentionality, which describes a non-cognitive way of knowing, a bodily understanding. Motor intentionality is “a kind of bodily feeling that informs our body’s practical grasp of its environment” (103). Though it may seem obvious, when we perceive and enjoy a groove we do so by grasping its feel through our bodies. In a way, Groove is part of a larger academic project over the past thirty-five years aimed at explaining, and more importantly, validating, groove across a range of musics. Some other books concerned with groove include John Chernoff’s African Rhythm and African Sensibility (1978), Steven Feld and Charles Keil’s Music Grooves (1994), Anne Danielsen’s Presence and Pleasure (2006) and Musical Rhythm in the Age of Digital Reproduction (2010), among others. John Collins’s video Listening To The Silence: African cross rhythms also adds to this conversation. Groove–as much as melody, harmony, timbre, or song lyrics–conveys a lot information that we process on an almost unconscious level. Groove is the trace left by music as it moves through time, and it’s also a deep and reliable marker of both musical style and musical competence. It’s for these reasons that Roholt’s book is essential groovology reading for guidance on how to systematically think through musical time–to understand why groove is so groovy. Next time you’re listening to a musician or band play, pay attention to their groove. It will tell you a lot about things your body might have already begun to figure out.